Young Dolph, 2 Chainz & Juicy J link up for "Pulled Up." After seeing Action Bronson and Chance The Rapper's hilarious "Baby Blue" video last week, we're given our second "Coming To America" homage of the week in the form of Young Dolph's latest track. Whereas Bronson's video had him and Big Body Bes dressing up like Eddie Murphy and Arsenio Hall in the 1988 film, Dolph's "Pulled Up" seems unrelated to the movie save for its artwork. 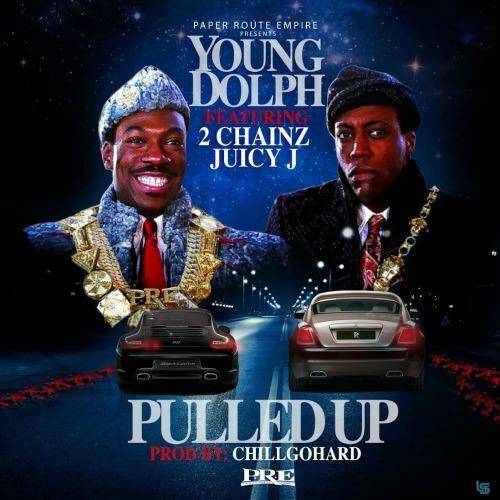 2 Chainz and Juicy J also guest on the ChillGoHard-produced track, and both of them provide the sort of punchline-heavy, lovably sloppy verses that we've come to expect from them in the past few years. Let us know what you think.